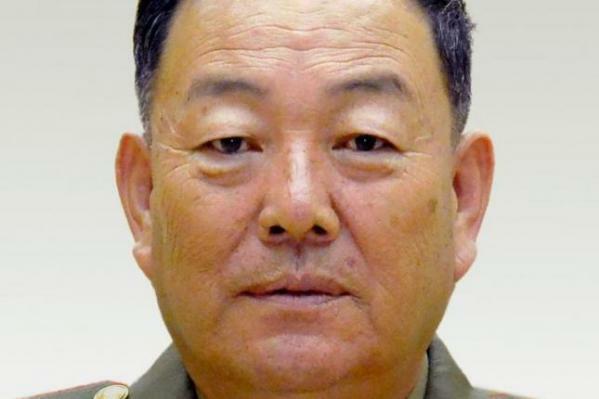 SEOUL, Dec. 19 (UPI) — The North Korean diplomat who fled from Pyongyang’s embassy in London testified Monday that former Defense Minister Hyon Yong Chol was executed based on information from wiretapped conversations at his home. Thae Yong Ho, who arrived in South Korea with his family in August, provided the statement to Seoul lawmakers Monday, local news service News 1 reported. Thae, who was in charge of propaganda at the embassy, said all high-ranking members of North Korea’s security department are “constantly being eavesdropped on,” according to Lee Cheol-uoo, chairman of the national assembly’s intelligence committee. Thae’s decision to leave was guided by his belief his children would be better off if the family fled North Korea. “At this moment I will break you free from the chains of slavery,” Thae said during the hearing, recalling the moment when he chose that path of defection, South Korean newspaper Kukmin Ilbo reported. According to Lee, Thae said all state officials working in national security live in apartment units under surveillance. A conversation Hyon had at his home set the wheels in motion for his purge and subsequent execution, the lawmaker said. In 2015, South Korean media had reported when Hyon abruptly disappeared from public life the top defense official was executed for napping and showing “disregard” for the North Korean leader. Thae also said North Korean elites are merely feigning loyalty to Kim, and that they believe their “destiny” would be over if the North Korean system were to collapse. “By day North Koreans hail Kim Jong Un but at night under their bed covers they watch South Korean television shows and grow in admiration” for the wealthier South, Lee said.